"FRIENDS in Charleston! I just had the most amazing experience with a local business! 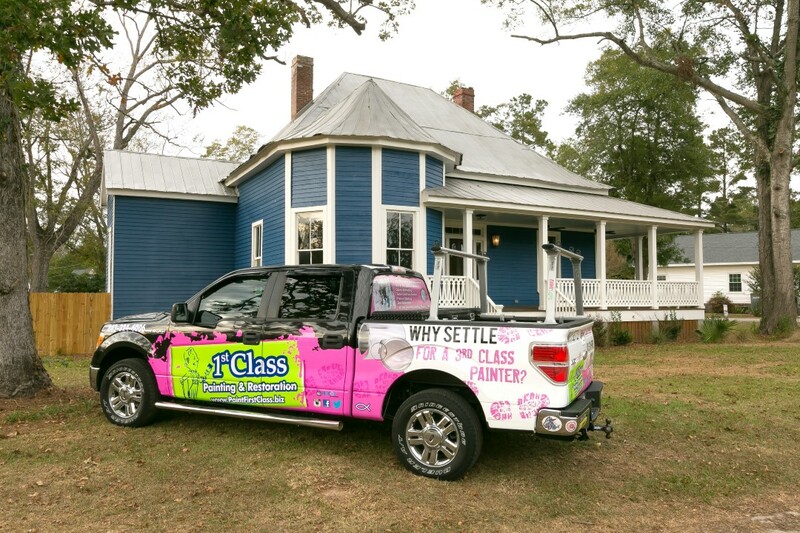 Tommy Welch with 1st Class Painting & Restoration, LLC was amazing as I was preparing my house for this hurricane. Tommy went above and beyond to make sure my needs were met, and even bent over backwards to accommodate when my needs changed. If you want an honest, fair, and kind business to help you with your remodeling / painting / household needs, then look no further!!! Thanks again, Tommy!" Your home is one of the biggest investments you will make. When it comes to its appearance inside and out, you want it to be something you are proud of. You don’t want to pull up on your driveway to see chipped paint on your vinyl siding. And you certainly don’t want to see cracks in your paintwork whilst sat on your sofa. Once you see it, you can’t unsee it! And let’s face it, when painting is added to your list of home improvements, it’s one of those jobs that gets pushed back to when you have the time. At 1st Class Painting & Restoration, we take this stress away from you. 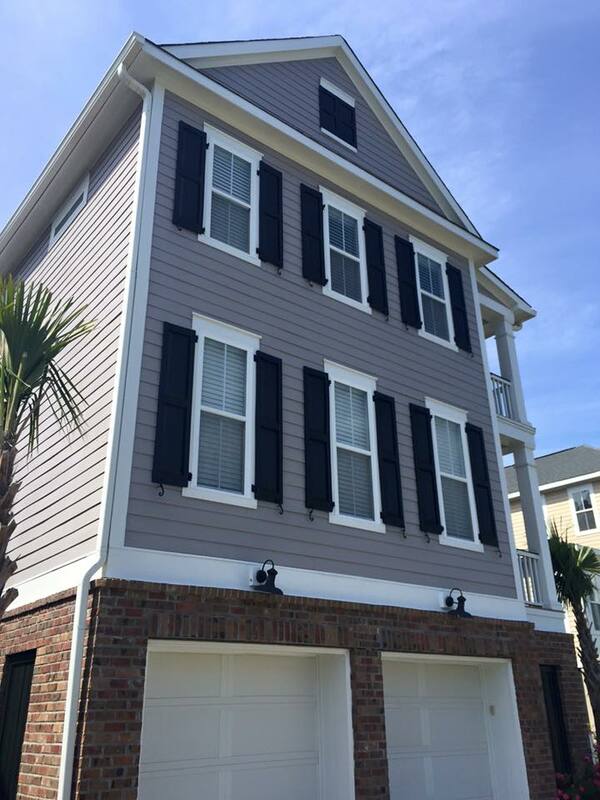 Specializing in interior and exterior painting for your property, we have been exceeding our customer’s expectations here in Charleston since 2003. You can read what they are saying about us right here! 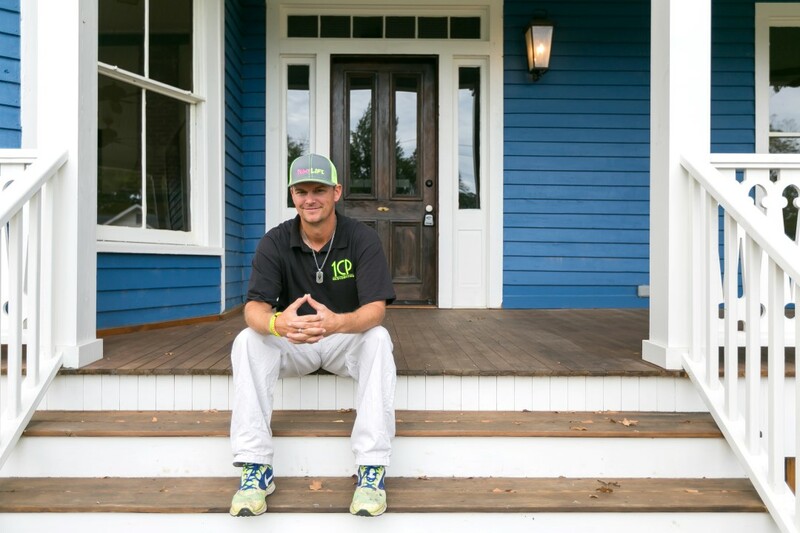 We take great pride in serving our community and God through painting and restoring your home and property for you. When it comes to your property, you deserve nothing less than a first class service. You can put your faith in us to provide this for you. Get in touch with us using one of the buttons below! 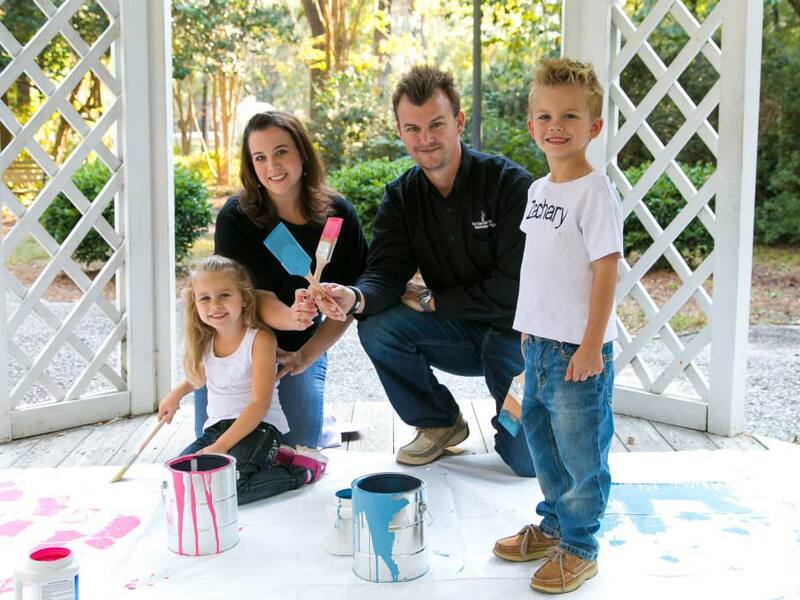 "We have had 1st class painting paint the outside of our home and a few rooms on the inside. The painters did a fabulous job, and were done quickly. We were very pleased with the job and pricing is always reasonable." The color of your room can lend a great deal to its atmosphere. If the appearance of your room feels a little cold and doesn’t speak to you in the way it used to, it may be a sign that you need a repaint. Just like the inside of your home, the color and appearance of its exterior is just as important. It’s one of the first things that people see. If it looks dingy and worn — it won’t look very inviting. And it’s not only its appearance that is important. First and foremost, the exterior of your home protects it (and you) from all kinds of weather conditions. If it’s not fit for the job, you could run into some very expensive problems down the line. That’s where we come in. We work with residential and commercial clients to beautify your property’s appearance. 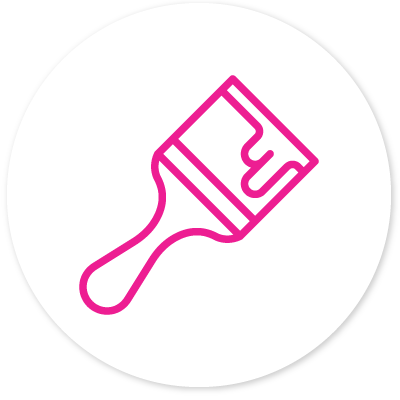 Whether you require a room repaint or a full scale restoration, we’ll get your property looking it’s best in no time. Using state of the art painting prep and lift equipment, we are able to ensure that your job is completed on-time, within budget and to your complete satisfaction. If you would like to feel proud of your property, get in touch with us today using one of the buttons below! "I want to thank you for the work you did last week with my mother-in-law's home. The crew was outstanding and the work was perfect. I could not have expected any better and we are very happy. I look forward to using your company for future jobs." Your kitchen and your bathroom are two of the most used rooms in your home. It’s important that you are happy with how they look! Maybe you just want a refresh. 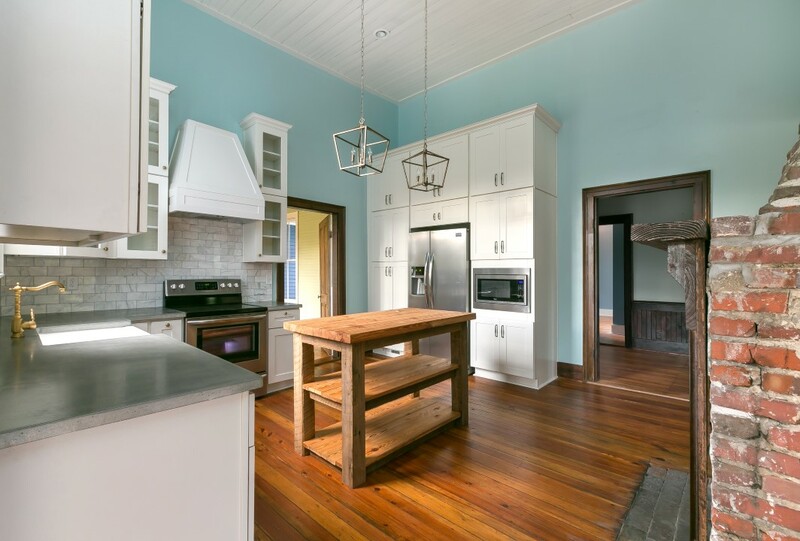 You’ve had your kitchen the same color for years and you want something new, clean and fresh. You’re tired of looking at the same bathroom tiles that were there when you moved in. Or, maybe you want to change the entire layout of your kitchen. Either way, we’ve got you covered. 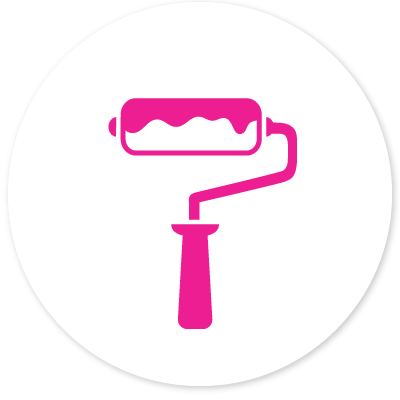 At 1st Class Painting & Restoration, we have over 15 years of experience in helping to transform your home. From retiling, new paintwork to complete remodelling, we’ve got the expertise to help turn your dream into a reality. If you’re looking for a new style or a fancy a much needed refresh, get in touch with us using one of the buttons below! 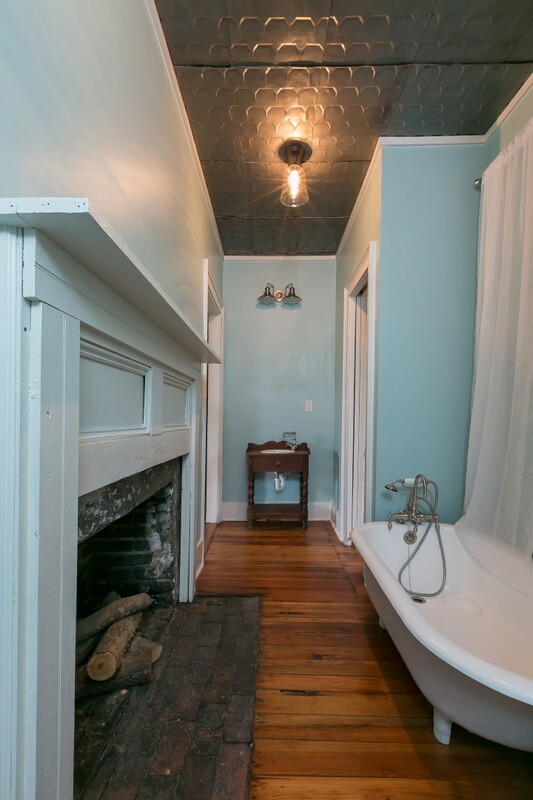 "We were referred to 1st Class Painting by another vendor we used when updating our home. They responded to calls quickly, came to give us an estimate, etc. The estimate was reasonable and we liked what we saw and heard, so we contracted with them to paint all of the cabinets in our kitchen and bathrooms. Dustin was AWESOME!! He took great care to tape things off, put up plastic sheeting and brown paper to shield things from overspray. He was knowledgeable, helpful and very friendly. He just did an all around great job. Sandra called after the painting was done to finalize payment and she was great too!! Very satisfied... recommend 1st Class Painting for your painting and renovation needs!!" There are some things that give you the same feeling that you once had when you purchased / received it. The first time you listened to a Frank Sinatra song, the grandfather clock that has been passed down for generations or a beautiful cabinet which holds many of your dearest collectibles. These are the sorts of things that are irreplaceable. So when it comes to your cabinet, it’s important to ensure that it is well kept and maintained to make it last for years to come. 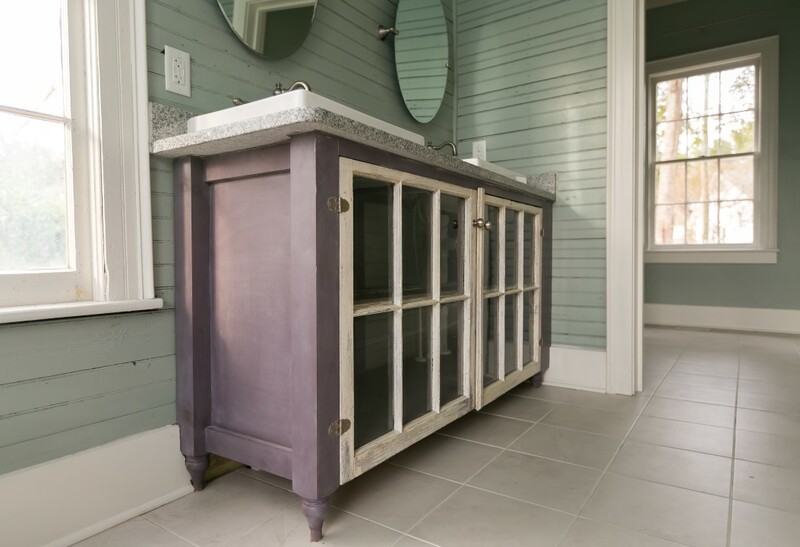 At 1st Class Painting & Restoration, we specialize in cabinet refinishing. Whether your cabinet finish is chipping away or it is a family heirloom that simply needs some treatment, we’ll get your cabinet looking its best. If you would like to treat your cabinet to a beautiful finish, get in touch with us today! 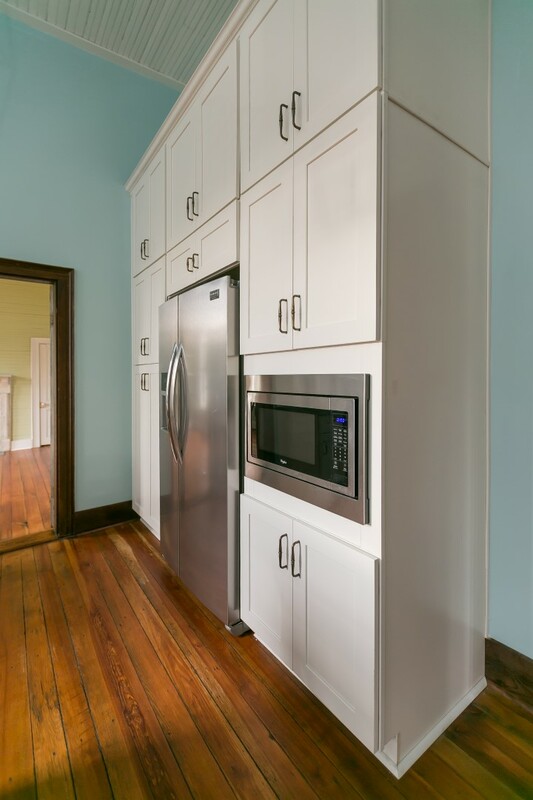 "Dustin with First Class far surpassed our expectations when he was able to take our dated oak kitchen cabinets and transform them into beautiful durable, white, up to date cabinets. He was professional, organized and meticulous in covering and protecting our walls, counter tops, and floor before starting the project. He was very knowledgeable and an all around nice person to have in our home. First class all of the way for a very reasonable price. 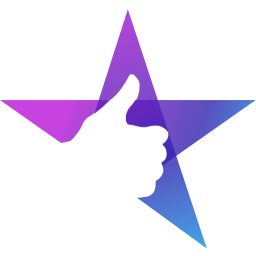 We were very impressed and will definitely call First Class again!" It’s a big decision to change the appearance of your property. 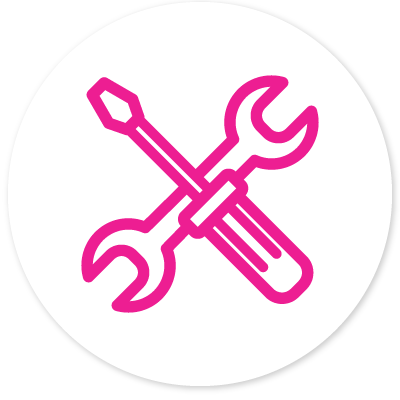 It’s not only working out the logistics, but the timings and the general disruption to daily business are all things that you take into account before deciding the change. So when you to make the decision, you want to use a company you can rely on. Someone who is experienced, competent, and will complete the job to the best standard within the allocated time frame. At 1st Class Painting & Restoration, you can put your faith in us. We are proud to have worked with clients such as Apple, Reebok, UPS, Puma and more. 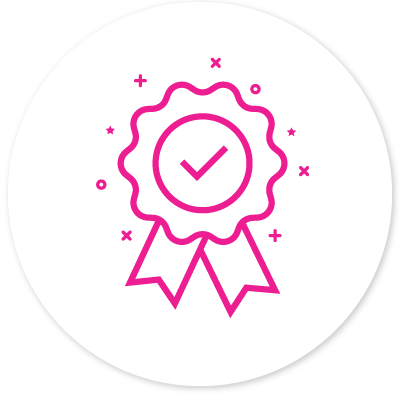 Our dedicated, professional staff have the experience to ensure that your deadlines are met, the work is completed to a first class standard and we aim to provide minimal disruption to your business. 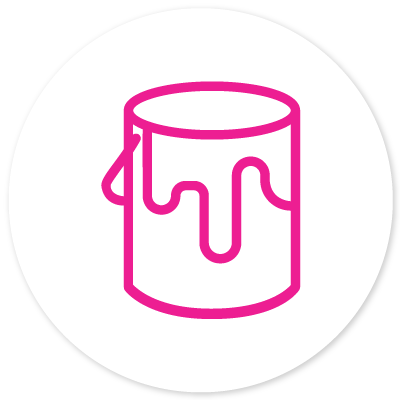 From interior and exterior painting to full-scale property renovations, you can count on us to provide you with exceptional service. 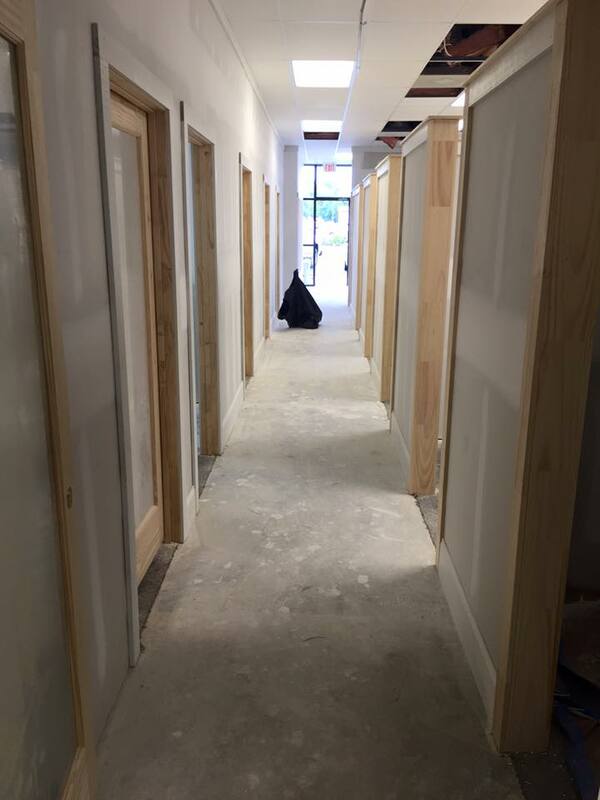 If you want your property’s appearance to reflect your business in the best way — get in touch with us today! 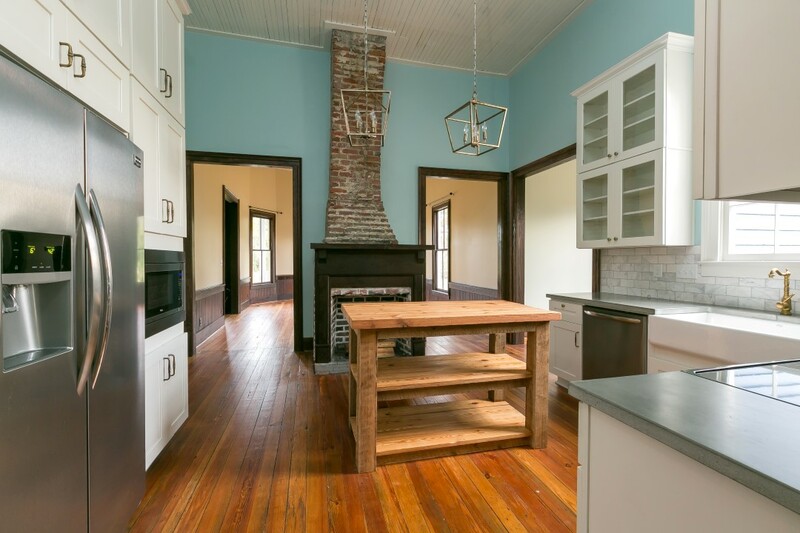 Why do home & business owners in & around Charleston trust us for all their painting & restoration needs? We are 1st Class, and WE CARE! 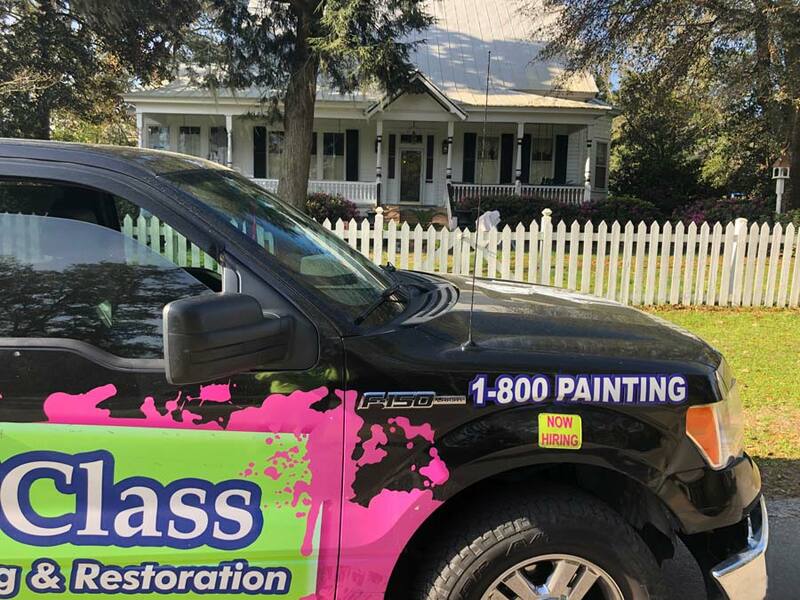 1st Class Painting & Restoration, is a local, award-winning painting company that’s been serving home and business owners in the Lowcountry area for over 15 years! We only use premium products and superior painting techniques that provide stunning, and lasting results. Our clients know us best for our family reputation, and that we truly CARE with CLASS. This philosophy directs our ethic and attitude in every job and for every person, because at the end of the day, we are FAMILY! We don’t claim to be perfect, but we absolutely claim to CARE! We’re working hard daily to develop and cultivate a unique, positive culture that’s based on the betterment of our customers, our employees and our community. 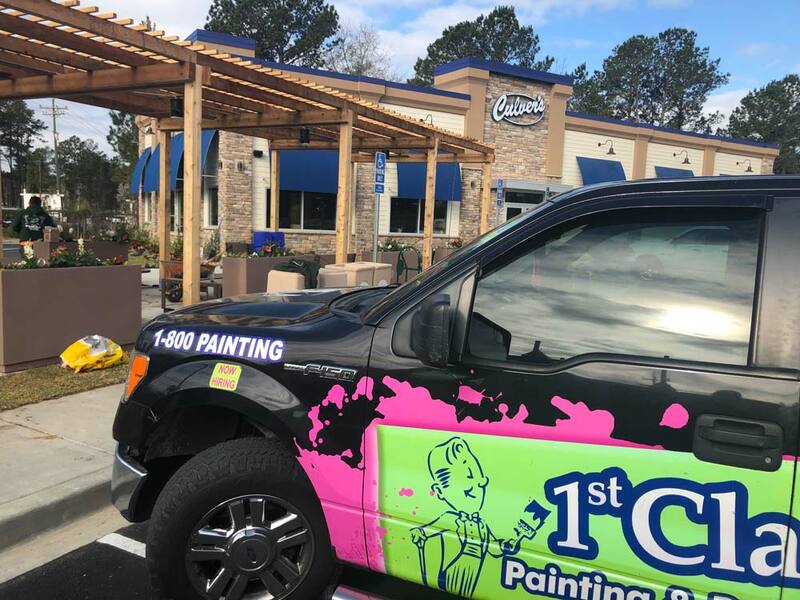 We do this through the FUN trade of PAINTING … it’s who we are are — 1st CLASS!